Introduction. Basic data. Stimulation and adaptive effects. Experimental data. Conslusions. This document concerns both the epidemiologic and dosimetric aspects to the evaluation of radiological risk, and the cellular and molecular aspects of the normal and perturbed response to irradiation. 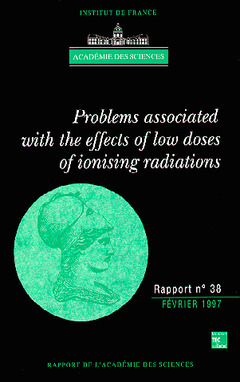 This English version has been complemented with three appendices on the cellular, molecular, and genetic effects of exposure to low doses of ionising radiations. The bibliography has been updated.